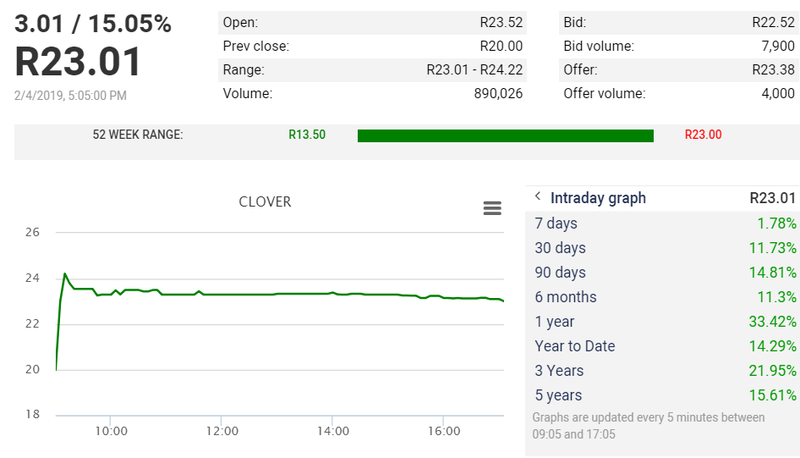 In a SENS announcement yesterday Clover announced that it received a firm offer from a newly formed company (Milco) of which Brimstone is a shareholder to acquire all the shares in Clover for a price of R25 a share. The market reacted very positively to this announcement, as the share was trading at R20 a share when the announcement was made. An offer of R25 a share is a25% increase on the closing price of the shares as at 1 February 2019. 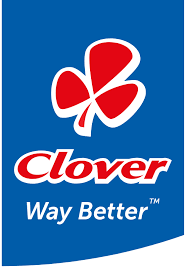 The image below shows the share price behavior of Clover yesterday. See more regarding the offer to acquire all their shares here. The first trading day of February ended in the red. In contrast to January in which every Friday ended the day in the green. So far the market has lost -1.42% for the month of February. Giving back more than half the gains the JSE All Share made during January 2019.